Composed by Camille Saint-Saens (1835-1921). Full Orchestra (Full Score); Larger Works; Masterworks; Performance Music Ensemble. Dover Edition. Masterwork; Romantic. Score. Dover Publications #06-441474. Published by Dover Publications (AP.6-441474). Violinists, conductors, and students of composition will welcome this affordable edition that brings together two enduringly popular works for violin and orchestra. 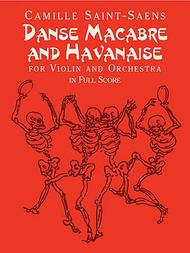 Danse Macabre is a brilliant tone poem with a prominent violin solo part. 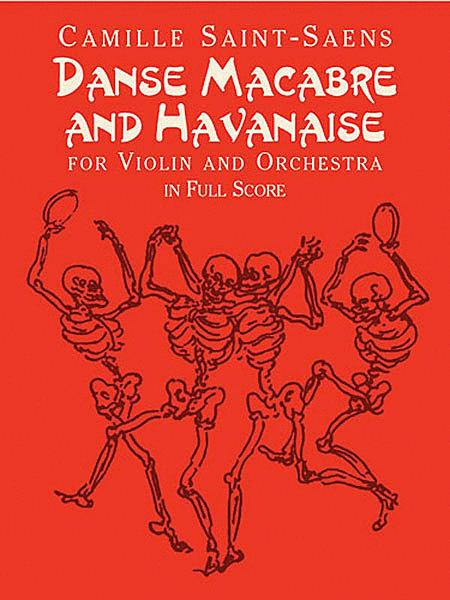 Havanaise is one of the most challenging violin and orchestra pieces, a standard showpiece in the repertoire of every serious violinist. Both works are constantly performed and recorded. [9 x 12, 96 pp. ].